Combining an unbeatable price with Thomastik-Infeld quality means you no longer have to settle for solid-steel strings to assure durability. You will love their instant response, supple playability and colorful tone. 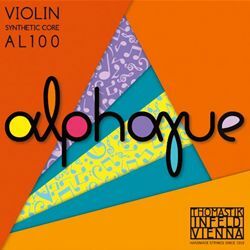 Alphayue strings improve the sound of even the most basic student instrument and make music-making a treat!